Players learn to shoot a layup after receiving a pass. Players form two lines, one on each wing. Two coaches stand near the top of the key – one facing the right side line and one facing the left side line. First player in line passes the ball to the coach facing that line. 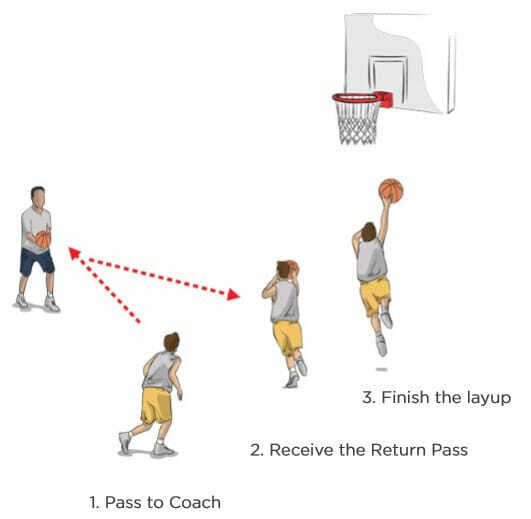 Coach passes back to the player, who catches it, chins it and shoots a proper layup. First player in opposite line goes and the drill continues with the action alternating from side to side. Once a player shoots, he gets his rebound and goes to the opposite line. 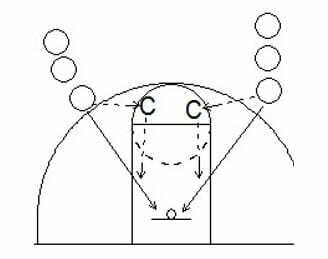 No dribbling in this drill, players should catch and shoot.